sports heroes from the Italian American Community. 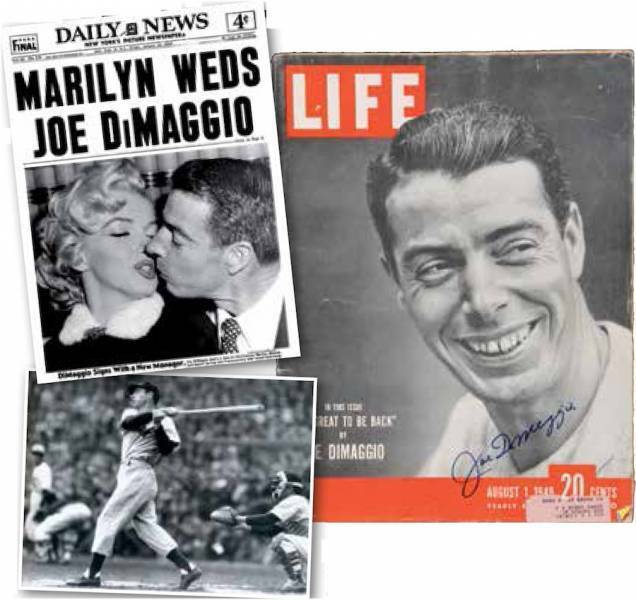 From Joe DiMaggio to Joe Montana, Donna Caponi to Mary Lou Retton, the efforts of Italian immigrants and their descendants have shaped the history of American sport. If a casual glance at sports history in the United States provides a wealth of positive representations of Americans of Italian descent, just imagine what an in-depth study can do. Gems, a professor of Health and Physical Education at North Central College in Naperville, IL, digs deep into American sociological and cultural history to help us understand the role that ethnicity plays in the development of an individual’s success in sports. Through thorough readings of the many studies that preceded his, Gems gleans pertinent information that provides rich insights into the Italian American presence in American sports—something he sees both as ways of maintaining ethnic identity and enabling it to change as immigrants move from Italians to Americans. 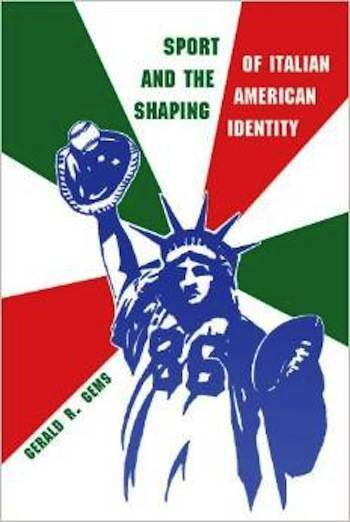 Beginning with what he sees as a lack of national identity, due to the timing of mass emigration from Italy, Gems builds a strong case for explaining how Italians, through participation and excellence in American sports, fashioned new American identities while preserving older, useful aspects of Italianitá. This is the key to understanding the evolution of Italian America. Gems uses many sources from a variety of scholarly disciplines to present first, a cultural study of Italian immigration to the United States, and then a sociological explanation of the movement of working class Italians from urban and rural centers of initial settlement to the suburban middle class. His work on race tackles the difficult questions of the role whiteness plays in shaping American identities. There are no pictures, as one would expect in a book that deals with some of America’s most iconic figures. Everything is presented in words that explain the various ways that sports shaped Italian Americans and how they, in turn, reshaped America. “Italian successes not only developed an ethnic pride and a great national identity,” he writes, “but headto-head competition offered the opportunity to dispel notions of physical inferiority and gain a measure of retribution for ethnic slurs and insults that accompanied the stereotypes of Italians.” Finally, we have, in one place, the source of a great deal of ethnic pride. Gems balances the highs and the lows of sports history by not avoiding the shame that accompanied some aspects of assimilation that often appear through reverse racism, created in part by historical amnesia and ignorance of the immigrant past. The same Italians who were discriminated against on the playing field, sometimes turned into racists themselves. Whether it was the individuals who expressed their racism as a way of belonging to the mainstream majority, or the African-American and Italian-American groups that fought over figures such as Franco Harris, the Italian American presence in sports and fanatic spectatorship has become a microcosm of what’s gone right and wrong in the United States. Taking on the world of sports as a whole, Gems’ study adds depth to previous books such as Lawrence Baldassaro’s “Beyond DiMaggio: Italian Americans in Baseball,” and the Wikipedia compilation of Italian Americans in boxing, and transcends Nick Manzello’s biographical study, “Legacy of the Gladiators: Italian Americans in Sports,” to present a rich and detailed study worthy of attention by scholars and everyday sports fans alike.